As you go about your day, every day, you likely are sitting, standing or walking next to a victim of neglect or abuse – a victim who has never reported the crime. That’s because he has some type of disability that deters him from interacting with the court system. It may be a physical disability that inhibits his ability to communicate. Or a physical handicap making it easy to explain away an injury as something other than a criminal act. It may be a mental disability that infers that is he not credible or reliable. But whatever the reason, it is unacceptable. And that’s why The Law Offices of William K. Goldfarb has made it a priority and a special interest to seek justice on behalf of the disabled. 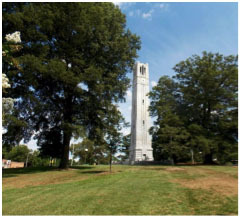 This special interest is a calling for the firm’s founder, William K. Goldfarb. He is driven by a desire developed in his youth to help people and he knew from a young age there was a legal aspect to being of true service. 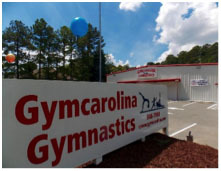 Mr. Goldfarb attended North Carolina State University on a gymnastics scholarship. While in school, and on his own initiative, he began working with disabled children in a gym teaching them basic gymnastics – an avant garde endeavor at the time. Mr. Goldfarb arranged the gym time, off campus, on his own and worked with children of varying disabilities after hours. He can’t really explain why he did it or where the idea first came from. He just did it. On his own time. With no fanfare. No recognition. But it planted a seed of altruism that led him to become a lawyer in 1991. Since establishing his own firm in 1996, that sense of compassion is still foremost in his practice today….although he still avoids the spotlight. In the coming weeks and months, you’ll find information about victims with disabilities on our website and our Facebook page. At a minimum, you’ll find it interesting. But we hope you’ll also find it helpful in understanding and perhaps even helping those among us who may need assistance and can’t ask for it. In the meantime, if you or a loved one, a friend or neighbor, need help or just have a question, please feel free to contact us at any time. You can call us at 704-296-0055 or submit your question through our website www.wkg-law.com. We look forward to hearing from you.